The VEGA Encore was conceived during our relentless pursuit of perfection. It offers wellness benefits such as spine relaxation, a tall articulated headrest for neck comfort, along with the relief of muscle tension and fatigue. 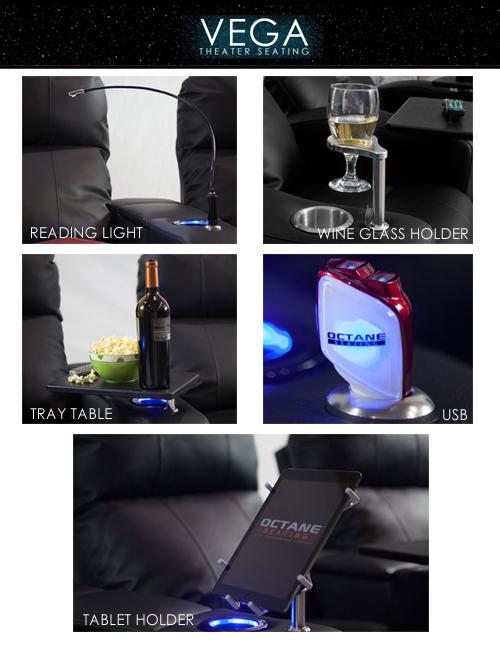 It is extremely plush, allowing you to rest for hours on end watching your favorite movies.